You are probably putting enough cash away so you live comfortably in the future, and making plans for how to spend your golden years. Retirement is something we all eventually dream of doing. Some of you may already know where you want to live, when you finally exit the workforce. Have you taken the time to really explore all your options? Sure, a warm climate is probably at the top of your priority list, but there is much more to it than just the weather. The place where you decide to live out the remaining portion of your life should also be considered, along with a variety of other important elements. Factors such as the cost of living, the state economy, taxes, and yes, climate, are all vital components that are a part of making up your mind as to where to retire. 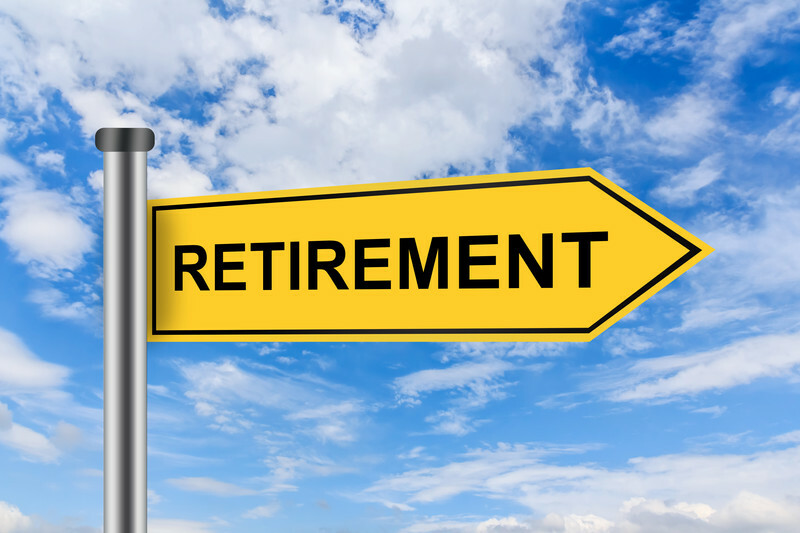 The decision is all yours, since only you know what it is you really want from retirement. You may wish to live near a busy metropolitan area. Maybe you prefer someplace a little quieter and quaint, far removed from the hustle and bustle of a major city. Luckily, every one of the states we cover has ample opportunities for you to find a home that meets either of those lifestyles. You may even see a destination here that you had not thought about initially. Others may already be on your list of possibilities. The selected states are located all across the United States. You are bound to find an area that fits in with your unique plans for the future. Perhaps you want to live very close to family and grand-kids. Maybe you have always dreamed of living near the water. We have found a range of attractive regions throughout the United States that should meet the criteria for your retirement. Most retirees think they have to head to Florida or California for the warm weather, great golf, and beach-side views. That is only because they have not looked closely enough at the great state of Alabama. It is true, the Heart of Dixie, as it is known, has all of that at a far more affordable cost of living, than some of the other regions offering those same amenities. In fact, Alabama is quite attractive for a number of reasons. None more so perhaps, than how it will affect your finances. The state has one of the lowest income tax rates in the nation, at around 2% to 5%. Health care costs are also well below the national average. Even more interesting is the fact that Social Security and pension benefits are completely exempt from taxes. That is definitely a plus. If you are over 65 and own your home, you will not need to worry about any property taxes or estate tax. There is also a distinct lifestyle that is found only in the state of Alabama. It has one of the best rivalries in college football. The Alabama Crimson Tide and Auburn Tigers fight it out for supremacy every year. It is good to know that politically this a red state through and through. If you have never experienced true Southern hospitality, you are sure to find it in just about every corner of the region. Alabama also has some of the best healthcare facilities in the United States. The University of Alabama Hospital is in Birmingham. The Southeast Alabama Medical Center is in Dothan. Nursing home costs here are cheaper than the rest of the country. A private room only runs you roughly $180 a day, which is about $50 to $60 lower than the national average. That equals around $2,700 per month. This is also lower than the other states in the nation. Perhaps moving to Idaho is not the first choice for your retirement. However, there is a lot to like about a state whose nickname is The Gem State. First of all, it offers warm weather and beautiful lush, green environments. The state has some of the most attractive parks and preserve areas in all the United States. There are parts of Yellowstone National Park located here, as well as Shoshone Falls, Hells Canyon, the Craters of the Moon National Monument and Preserve, and the Lava Hot Springs. These are just a few of the 30 different locations that Idaho has to offer. Unlike Florida, it does get snow in the colder months. This is the perfect place for those seniors who still enjoy having a change of seasons. That is all well and good. However, what about the important things such as cost of living and taxes? 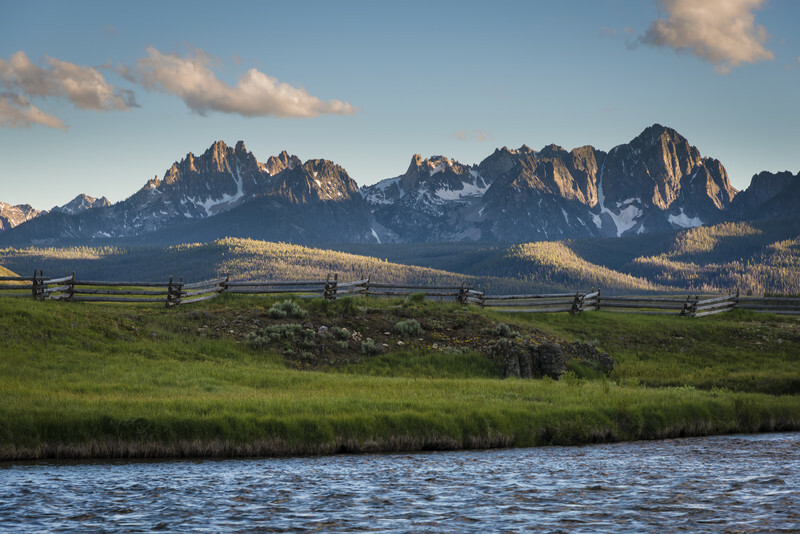 Idaho is ideal when you are looking at it from that point of view. This is because the healthcare expenses are very low. When it comes to your taxes, Alabama will not bleed you dry. The state sales tax is at 6%. The income tax rate tops out at 7.4%. Like Alabama, Social Security benefits are tax-exempt. There are also no estate or inheritance taxes either. Prescription drugs are also exempt from sales tax. The lower cost of living also extends to home ownership. The average price of a home is just under $200,00, which falls below the national average. Assisted living costs in the state of Idaho are also a big reason it makes our list. The average cost of a private room will run you about $3,200 a month. Healthcare costs at some of the best facilities in the state are also lower than the average prices in the rest of the nation. Okay maybe South Dakota is not the warmest state in the nation. It really does get quite cold during the winter months. South Dakota is one of the most attractive retirement destinations in the country because it is extremely affordable. The cost of living is among the lowest in the United States. You will not have a battery of taxes to deal with either. If that is not enough, the state of South Dakota also makes the list because of how well-suited it is for senior living. The crime rate is very low in South Dakota. While the winters do make an impact, the summer months are mild and inviting. Of course, there is also Mount Rushmore, and a number of other exciting natural attractions that might be of particular interest to seniors thinking about living in South Dakota. Best of all, perhaps, is the ease with which seniors can access high-quality healthcare at costs that will not break their budget. Sioux Falls is extremely attractive in that regard, because it is home to some of the best hospitals and care facilities in the state. This includes The Avera McKennan Hospital & University Health Center and Sanford USD Medical Center. There is an excellent “telehealth” program at Avera McKennan. It provides quality health services to seniors who can’t get to the city because they live in farther reaching rural areas. Assisted living costs are also some of the best you will find in any region of the United States, with an average cost of just over $3,000 a month, for a one bedroom unit. Perhaps even more attractive to seniors is the trend of small business growth in the state. This has resulted in one of the lowest senior unemployment rates throughout the United States. If you are giving some thought to earning a little extra money in your retirement, there are ample opportunities to find a part-time gig to pass your days, should you choose to stay active in the local workforce. Washington has its fair share of advantages and drawbacks. The first thing you might think of when you consider the Pacific Northwest, is the amount of rain it gets each year. It is true that it does rain here more than in other parts of the country. However, seniors may also find the state of Washington has many coastline and mountain range areas. They are just the thing for maintaining an active, and adventurous lifestyle. Once retired, you can spend your days outdoors doing things such as hiking, climbing, and boating. Washington offers plenty of areas to do all those things and more. It comes as no surprise that it ranked third in the nation, by the United Health Foundation, for physically active retirees to pursue their outdoor passions. There are also plenty of golf courses to choose from. Despite the above average precipitation, not every part of the state experiences all the rain. Cities such as Spokane and Kennewick see far less of it than areas like Seattle or Vancouver. If you are an avid wine connoisseur, Washington has become one of the fastest growing wine producers in the country. The state has tripled the number of vineyards in the past decade alone. The result is an annual yield of 12 million cases of wine. This is about $1 billion in revenue per year. In choosing Washington, seniors will have to contend with slightly higher costs and taxes. The median price for a home that is closer to the more populated areas, such as Olympia and Seattle, reaches about $365,000. The overall cost of living is just a little higher than the rest of the country. Sales taxes are also a bit higher at a 6.5%. The assisted living costs present a significant jump in rates compared to some of the other states on our list. A median monthly cost for a one-bedroom unit runs high, at approximately $4,600 a month. If you are considering Florida or California as one of the options for retirement, give Arizona a fair shake, while you are at it. It has everything that active retirees are looking for, when they are looking to move to another destination to spend their later years. The weather is one of the biggest selling points. Anyone seeking warm temperatures year round will appreciate that the state gets plenty of sunshine. The summer months bring a dry heat without the sweltering humidity found in other places in the country. The desert air is also ideal for anyone who is dealing with allergies or asthma symptoms. While the nights can get pretty cool, they are still warmer than other regions of the United States. Dominated by desert terrain, precipitation rates in Arizona are also significantly reduced. There is also plenty of things to do outdoors. Located in the state are The Grand Canyon and Red Rock, as well as lots of whitewater rafting and golf courses. If your retirement plans have you pursing an active lifestyle of hiking, hang-gliding, or just walking to see the local wildlife that abound throughout the state, there are a myriad of options before you. As for the costs associated with taking up residence in Arizona, you will be pleasantly surprised at how affordable it is here. The median price of a home is around $185,000 . The heating costs are not very high, due to the naturally warm climate. Even more attractive is the fact that seniors do not have to pay taxes on Social Security income. There also are no inheritance taxes, gift taxes, or estate taxes. The state taxes run from 2.59% to 4%. This is on the lower end when compared to the rest of the nation. Should you need to find assisted living at some point, Arizona’s median cost for a one-bedroom unit costs about $3,430 a month. Utah has a lot of offer retirees. It is important to take care deciding which areas they choose to settle in. They will want to avoid the high prices that come with the portions of the state that are home to world-class ski resorts. There are ample ski areas to choose from. Utah also boasts five national parks, five national forests, and seven national monuments. There are over 40 state parks that provide a wealth of opportunities for outdoor activities. There are so many, that the state has come in fifth for the overall health of seniors, as per the United Health Foundation. The state is also home to the Sundance Film Festival in Park City. This is one of the most expensive areas to live within the state of Utah. However, you do not need to live there to enjoy . The ten-day festival of movies and parties takes place in January. If you are a movie buff, this is the place for you. While the exclusive parties might be tough to get into, tickets for the films are available to the public. It’s important to note that the climate is not warm year round. Utah is known for its skiing. In the winter, it does get its fair share of snow and other icy precipitation. The median population of the state also skews younger. This might be attractive to retirees who do not want to necessarily live near other retirees their age, and instead remain near a younger and more lively crowd. Financially, Utah is a mixed bag. It is one of the few states where Social Security is taxable. The overall cost of living is slightly higher than the rest of the nation. That goes for the average purchase price of a home at around $220,000. The median monthly cost for an assisted living unit comes in at around $3,000. The state of South Carolina has everything most seniors are looking for in a retirement destination. The weather is warm. You will not get raked over the coals with taxes. The cost of living is quite affordable, as South Carolina ranked among those states with the lowest on average. Most retirees end up going to Hilton Head Island. There other areas just as attractive, if not more so, due to their affordability. Myrtle Beach is one of them. It offers the same wonderful amenities as Hilton Head, including all the golf and beach activities available. One of the most appealing qualities of South Carolina is that the state has multiple regions offering just about every conceivable living environment you can imagine. You can live near the coastal areas overlooking the Atlantic or choose to settle near the Blue Ridge Mountains. Either one or anything in between the two come with warm summers, mild winters and loads of recreational activities for seniors to enjoy. The state is also pretty easy on your wallet in the state of South Carolina. The cost of living and taxes are not bad. 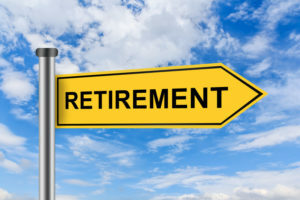 The latter in particular is quite attractive with income tax rates at around 3% to 7% Anyone over the age of 65 affords an exemption on their first $10,000 of qualifying retirement income. 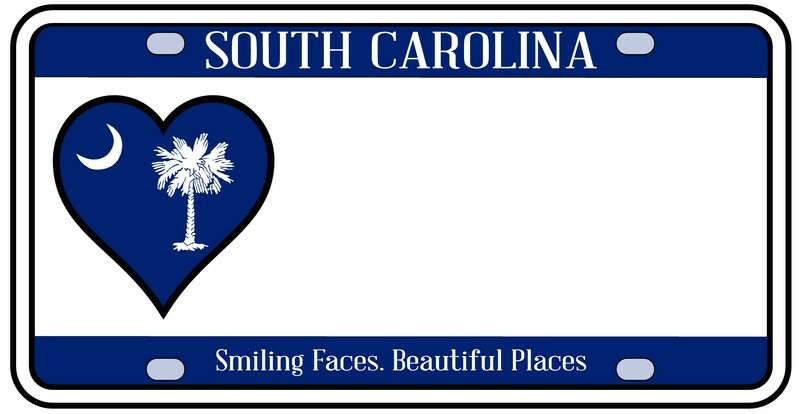 The sales tax in South Carolina is 6%. Property taxes are .57% of the value of your home. Best of all, perhaps, is that Social Security is tax-exempt. Additionally, there are no inheritance or estate taxes in the state. The state is appealing for its climate and the costs associated with taking up residence there. Tennessee falls below the national average with living costs, in just about every possible way, from your taxes to healthcare costs. The median monthly assisted living expenses in the state-run facilities is about $3,400. As for taxes, you have no state income tax in Tennessee. The sales tax is 7%. As for actually spending time in Tennessee, retirees have a variety of choices for recreational activities. The Appalachian Mountains are on one side, and the Mississippi River on the other. Most the state is too rural for some folks. However, the four main metropolitan city centers of Nashville, Memphis, Knoxville and Chattanooga, are hubs of culture and nightlife excitement. Chattanooga in particular has a wonderful arts and music scene and, of course, Nashville is the cradle of country music. There are some disadvantages to Tennessee. The biggest of them being the state’s violent crime and property crime rates. Both are above the national average, as per the Federal Bureau of Investigation. Memphis has the second-highest violent crime rate in the entire country. The air quality is another issue. It falls short of the national average as a result of so many power plants located in the state. Contrasting with the air quality, is the water quality. It is terrific. It falls far above the national average. All of this just goes to prove that you must do your research first before you commit to moving into any neighborhood, whether it’s in Tennessee, or any other state in the union. These are just some of the states that are the most attractive and intriguing to retirees. Not all of them will suit your needs. There are others that we did not list, which might serve your purposes and desires more readily. You may wish to live in a certain region of the country. That could be the determining factor in which state you select in that area. Other retirees may just want to live in a state where the taxes are lower, and they do not really care where that is in the United States. The great thing about it is that there are 50 states to choose from. You are bound to find the one that fits all, or almost all, of your unique criteria for your retirement plans.